A great doorstop of a tome, in hardback and at a very good price. 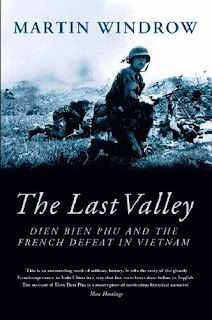 Martin Windrow's classic account of the French in Vietnam. 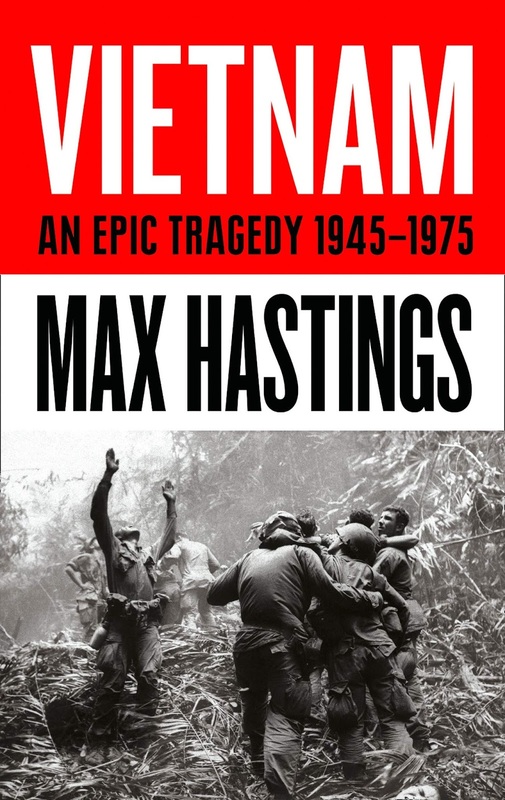 You may recall me mentioning in a previous post that I am going to get a copy of Max Hastings new book: Vietnam, as part of my Christmas present from SWMBO. 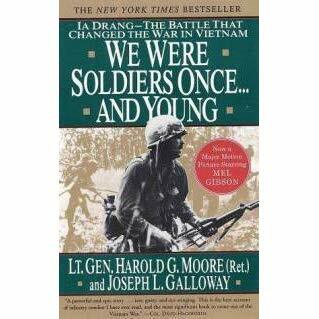 Almost as an afterthought I started to read again my copy of We Were Soldiers Once....and Young by Col. Hal Moore and Joe Galloway about the fighting in the Ia Drang Valley in 1965. I even watched the film again starring Mel Gibson. 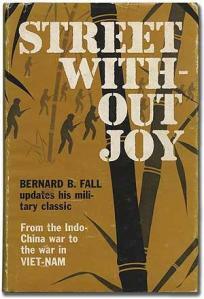 In the book Col. Moore mentions that he read as part of his research the book by Bernard Falls: The Street Without Joy which covered the preceding French involvement culminating in their defeat at Dien Bien Phu in 1954. The First Indochina war is something I know very little about and the more I read about the subsequent American involvement the more I felt it would be advantageous to learn about the events leading up to it. I vaguely remember seeing a critically acclaimed book on the subject by Martin Windrow - The Last Valley so I after a gentle stroll through EBay I came across a cheap copy which I duly snapped up. 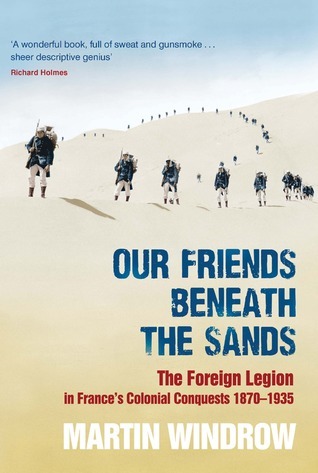 As an aside I am great fan of Martin Windrow's writings and for me his book 'Our Friends Beneath the Sands' about the Foreign Legion from 1870 to 1935 is one of the finest I have ever read, so I am looking forward to reading this. Does what it says on the cover! Quite simply, superb. What does this all mean in the realms of table top gaming? Well, I have no plans to rush in to a Vietnam based project - for either conflict - for the foreseeable future but I would not discount it. I would certainly be able to do something using the blocks - I like to think of them as being around 1:300/1:200th in scale - so using the method I described in my earlier post for depicting modern vehicles and weaponry alongside a block would be a viable option. 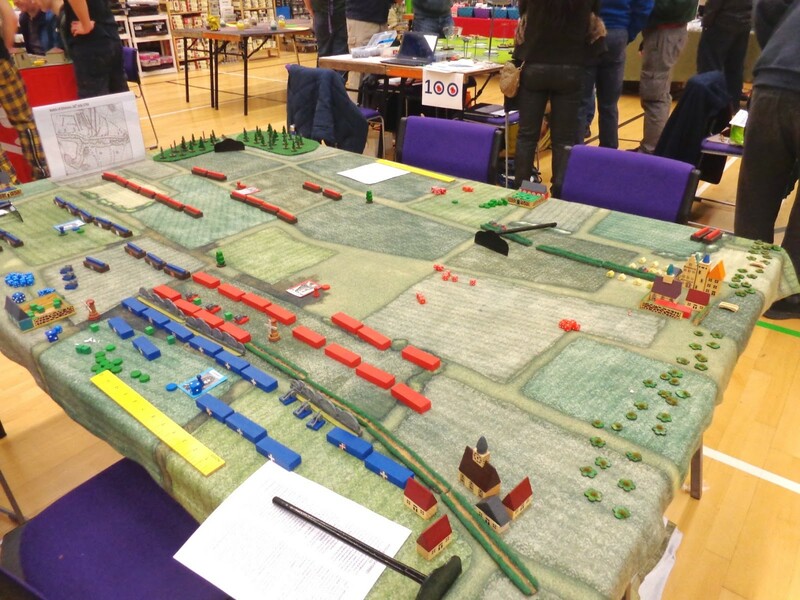 My very first block battle - Belgium, June 1815 - Game Number 1, Part 1 which was fought way back in January 2012! Note the use of full sized Jenga blocks rather than the later half sized version which is now my standard although I still have a number of the original types in the collection. The playing surface is an Axis and Allies double sided and geomorphic map which I had laminated. Terrain pieces are from the legendary 'Town in a Bag' set. 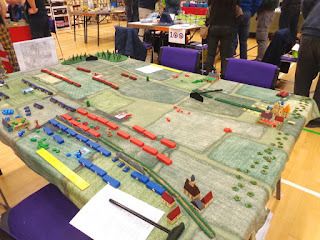 My recent foray back into the wonderful world of block based wargaming, occasioned by seeing the excellent game put on by Andy Callan at the Battleground show in Stockton, has certainly given me much to think about and, if I am honest, a real 'shot in the arm' so to speak. I spent some time going over my own block adventures and the associated blog posts and was staggered to realise that most of the groundwork in terms of preparation and the resulting games occurred way back in 2012/13, with the occasional game running later. The end point for most of my activity was in 2014 although I fought a solitary game using them in May of this year. 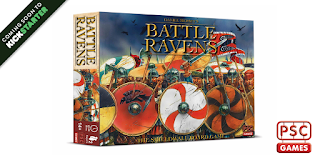 I have to say that the last game I fought - and I have not said this before - served as a confirmation of all that is good and bad when using blocks for a wargame and so I was pleased that I did it when I did. The 'classic' block unit labels. From left to right - top row: command, infantry, cavalry and artillery, middle row: machine guns, mortars and anti tank guns, bottom row: tanks and supply vehicles/wagons. Infantry, cavalry and artillery also now have 'heavy' and 'light' types identified by a band across the bottom edge of the label. Black for 'heavy' and white for 'light'. The blocks were quietly pushed to one side back in 2014 for a number of reasons. To begin with, my work really had me under the cosh which meant that gaming time was reduced. As a result of this the games themselves became more and more 'ragged' as I was not spending the time on them that they really needed in respect of preparation and the all important narrative. They began to look very 'samey' and in truth, I had substituted quantity for quality. With the passage of time I can look back on that period with a far more objective demeanour. I am now fully aware of what worked and what did not and so I am now far better able to take the collection forward in newer directions. As mentioned previously the above was very much a halfway house in the evolution of my block armies as I was experimenting with half sized blocks for artillery and command alongside full sized infantry and cavalry blocks. Going forward this will be my standard for non grid based games except that the full sized blocks will be represented by two half blocks. As is my usual modus operandi, I have taken the decision to make far more use of the block armies than I have done which means a number of issues will need to be addressed. One of the main things I need to do is to make them more readily identifiable as to the force being represented beyond the use of national colours. I have already touched upon a basing idea I was considering that also involved unit flags. Well, I am now going to look at having free standing flags for units and not worrying about basing the half blocks I use – I will simply use them in pairs which will equal a ‘Andy Callan’ sized unit i.e. a single Jenga block. I may think about making some movement trays at some point but this is not essential at this stage. As unit identification will be a very important part of what I do I need to make sure I get it right from the off. I also fully intend making use of models to supplement the blocks, especially for 'mechanised' games and at this stage I am thinking of basing single models - I have a lot of Axis and Allies tanks and guns etc that would be ideal for this - on a half block sized 2mm thick base (roughly 3cm by 2cm) for things like vehicles, guns and support weapons. The horse and musket period armies will be solely using blocks. Another idea I am considering is to use figures for higher level command bases. My reasoning for this is that if I had a base with a model of Napoleon and a couple of ADCs or similar on it then there could be no mistaking which army is being represented by the anonymous looking blocks! What does this mean for my current project list then? The list will remain the same with one exception. The whole Arab Revolt/Madasahatta style project will change in a couple of very significant ways as to the manner of execution - but this will be the subject of a later post. It has been an eventful few days and no mistake! 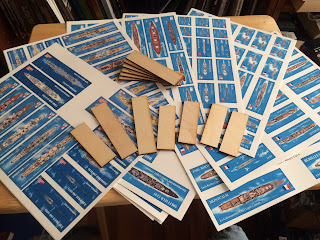 Since my last blog post I have been in contact with Andy Callan and have discussed many things around using blocks for wargaming. I have been truly inspired! 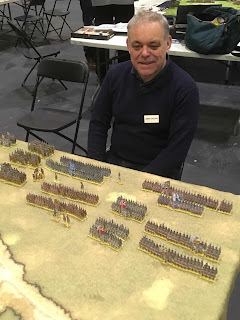 Andy was kind enough to share many of his thoughts on using Jenga blocks and has also supplied me with a copy of the rules he developed for the War of the Spanish Succession game he demonstrated at Battleground. These are a really neat set which have a lot of potential beyond the period they were designed for. This is certainly something I will give a lot of thought to for a couple of specific ideas I have in mind for next year. I know you have seen this but I could not resist showing it again! Many thanks to Will McNally for the picture. As an aside I really like the cloth used for the tabletop. By far and away the main thing that has given me much to consider though is the whole concept of using blocks for wargames rather than figures or even alongside them. I realise now that I may have taken my own block adventures of on a tangent from where they were originally intended. For the most part I tended to use them on what could best be described as a divisional or brigade level basis. In figure parlance this could be anything up to around 8 units of infantry, 2 or 3 of cavalry and a 2 or 3 guns or so. 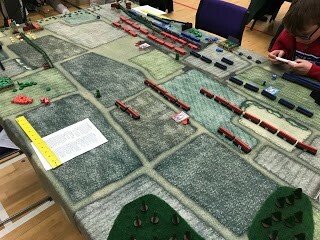 For 20th century actions the level tended to be lower still with games being battalion or company based. This was fine and to be sure I had some very good games. I have absolutely no regrets about how I executed the concept and for what the blocks have been used for they are perfect. There is one small point though that I overlooked. To be more accurate it was not so much overlooked as parked to one side and quietly forgotten about. When I set out raising the block armies my original idea was to be able to fight battles whilst raising the armies using figures. A secondary use was to try out new periods in advance of investing any resources to see how it worked out. With one exception every battle I fought with the blocks was fictional and indeed, aside from how the respective armies actually fought historically, every action was off the top of my head so to speak. An earlier version of my block armies. This was very much an interim solution between the full and half block option and was initially limited to artillery, skirmish and command elements. What I thought I was doing was fighting battles rather than small portions of them. Andy Callan has come up with a rule system using Jenga blocks that are designed with battles between armies in mind and this has served to effectively 'reset' my thinking about blocks in general, specifically using full sized versions rather than the cut down types I use. Seeing his Jenga armies arrayed on a table top immediately reminded me of what I had originally intended them for - the 'Grand Battle' - before being distracted by more 'tactical level' games. My feeling is that the full sized blocks are better suited to fighting large battles with the smaller blocks being more effective at a lower level. Naturally a few adjustments would be needed for representing armies at the larger scale and there are a few ideas that can be considered. 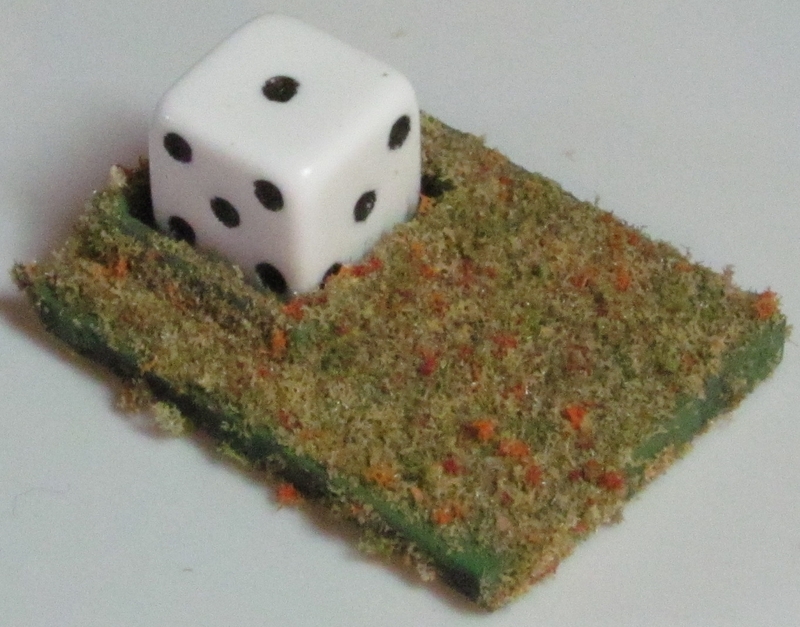 Andy Callan makes use of plastic Risk cannons mounted of wooden scrabble tiles for his artillery as well as making cavalry units from a basic Jenga block painted brown with a strip of beading glued to the top and painted in whatever the national colour of the army is. It is worth pointing out that a block in this scale obviously represent a number of units deployed to fight, with spaces and local reserves and certainly in the later period with skirmishers to the fore. This is fine but using the single large block for formations deployed in line is not without its problems in my opinion. What about a formation that is moving along a road in column of march, or massed in a column of attack? What about when the entire formation is under concerted cavalry attack? Well, taking these points into consideration I am thinking that using my existing block collection with units in pairs would be a viable alternative. This would allow 'formational flexibility' whilst still preserving the 'grand battle' look. As an aside using two half blocks to represent a formation is the approach that Bob Cordery has adopted for his forthcoming Portable Napoleonic Wargame i.e. two bases of infantry or cavalry for a unit which also means that the usual formations of column, line and square can easily be reproduced. The problem of identification of units with my block armies is one that I have written about previously and I have a couple of ideas in mind to solve this. For his game Andy Callan used flags printed out and stuck on the side of the block facing the owning player thereby adding to the 'fog of war' as the opposition would not be sure about what they were facing until they attacked it. For my purposes, and this is very much a personal thing, I will make use of a roster system for combat resolution. In truth I have very little to do to use the block armies in the way they were intended but from a lower level perspective, particularly for games set in the 20th century, I have rather a lot more to ponder. It has been a relatively productive week all told although as usual not quite in the way I envisaged. I was able to spend some time on the 1:4800th scale models yesterday and have come to the conclusion that my initial estimates of how long they would take to finish may have been a little on the optimistic side. I have decided to split the collection into three batches for painting. The Germans consist of 10 ships, whilst the Royal Navy has 23, divided into 10 capital ships and 13 cruisers. You will have probably worked out the split - Germans, Royal Navy capital ships and then the cruisers. It means they will take a little longer to complete but are in far more manageable batches. Post 1945 wars have taken up some of my time this week in that I have been reading up on Vietnam - inspired by revisiting 'We Were Soldiers' starring Mel Gibson and also the excellent book of the same name. Almost inevitably I have been drawn into looking at the earlier French Indochina war and as luck would have it I managed to grab a very cheap copy of 'The Last Valley' by Martin Windrow. Again this is a conflict that I could very easily see myself tackling in some way and indeed, if you look at the blog of J Jackaman you will see reference to this conflict as well as some modern British colonial style conflicts. I really enjoy Jim's blog as his enthusiasm and sheer output has often shamed me into getting on with stuff rather than just thinking about it! The pictures above has really pleased me in all manner of ways. To begin with it uses blocks as well as Town in a Bag buildings, what look like Cuisenaire rods as well as the plastic guns from Risk, sans the figures and mounted on bases. I liked the way that cavalry are represented (I had not thought of this) and indeed, placing all this on a very nice terrain mat you have what I think is an aesthetically pleasing looking game that looks like a real battle. I am HUGELY impressed with this and it has really given me much to think about. Have you seen this man? Andy Callan at salute earlier this year fighting with some Peter Dennis 18th century paper soldiers. We had a really good chat about fighting battles using alternatives to figures. I really need to get in touch with Andy Callan - I had quite a chat with him at Salute earlier this year - so should any readers be in contact with him please point him at the blog! Topside Minis and the optional bases. 1:1800th is the main scale they offer - certainly for WW2 at present but WW1 and the Russo Japanese War can also be obtained in 1:2400th and 1:3000th. Should I decide to order any - and my thoughts at present are along the lines of WW1 in 1:2400th - then a set for Jutland would cost $30 plus shipping. Naturally I would need to buy bases and 'assemble' them but trust me, cutting and sticking is a lot easier than gluing and painting and they would be a lot easier to store! Something else to think about then. One of things about our hobby that never ceases to amaze me is how looking at a particular something can lead onto something else that is quite different on the face of it but with a touch of commonality. I mentioned previously that last weekend SWMBO and I spent rather a long time in our local Sainsbury taking advantage of the ‘double up’ on Nectar Points. To cut a long story short we acquired good to the value of £200 by surrendering £100 of Nectar Points. For the most part it was used to finish off the Christmas shopping (SWMBO is incredibly organised about this sort of thing – in fact she has not only purchased everything she needs to but it is also wrapped and tagged and waiting to go under the Christmas tree in two weeks’ time) for the family which for me came in the shape of the new book by Max Hastings about the wars in Vietnam. Vietnam and I have enjoyed a rather long distance relationship from the gaming perspective in that it is a period I am interested in but aside from a few aerial games using SPIs Air War and the odd skirmish I never really invested in it very much. I have seen a number of the main cinematic stalwarts – Apocalypse Now, Platoon, The Deer Hunter, The Green Berets, Hamburger Hill and my personal favourite, The Odd Angry Shot – although for some inexplicable reason Full Metal Jacket is missing but soon to be rectified. Another film that I have seen is of course We Were Soldiers starring Mel Gibson. The film is about the vicious fighting that took place in the IaDrang Valley in November 1965 and is based on the book of (more of less) the same name written by (then) Colonel Hal Moore and Joe Galloway. I use the word ‘vicious’ to describe the fighting in Ia Drang because it was just that. It was up close and very personal and with huge quantities of automatic weapons fire. 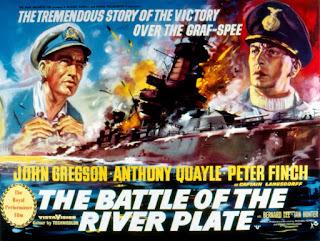 The film captures the claustrophobic nature of the fighting very well and although it takes a few historical liberties it was generally well received and even Colonel Moore approved (he was quite scathing about other films covering the war and as he was actually in the firing line during the events depicted his opinion is important). As well as the film I also own a copy of the book which is very good indeed and for me really captures the intensity of the battle. A number of years ago I acquired a number of boxes of 20mm plastics from Revell of US special forces and the VC but sadly these went awhile back. I even drafted a Memoir 44 based adaptation for the conflict based on using elements from the Pacific and Eastern front expansions. It is a conflict I would like to game but I am not sure how or even when. Leading up to Vietnam (bear with me as this will illustrate how my brain works. Or not, as the case may be!) in my recent research was Aden, initially for the World War 1 angle. As you are aware Aden is going to feature in support of my Arab Revolt project – there was fighting against the Turks and with Arab allies present on both sides – when lo and behold I came across mention of Radfan. 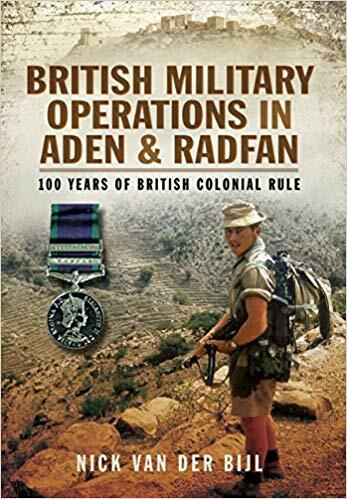 I have familial interest in the Radfan campaign as my brother in law served with the Parachute Regiment there. One on the 'to get' list for sure as it covers the WW1 period as well as the campaigns during the 1960s. My brother in law took part in this as a member of the Parachute regiment. 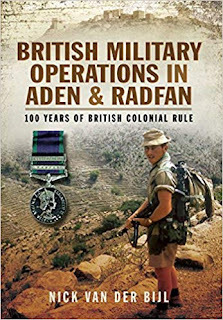 I had promised myself that I would familiarise myself with the British operations in Aden and Radfan for two reasons. Firstly because of the ‘colonial’ nature of the British involvement and secondly due to the family connection. If I am honest it is one of those periods I would like to game but am probably unlikely to do so although I will have the appropriate terrain to hand for the earlier WW2 operations. 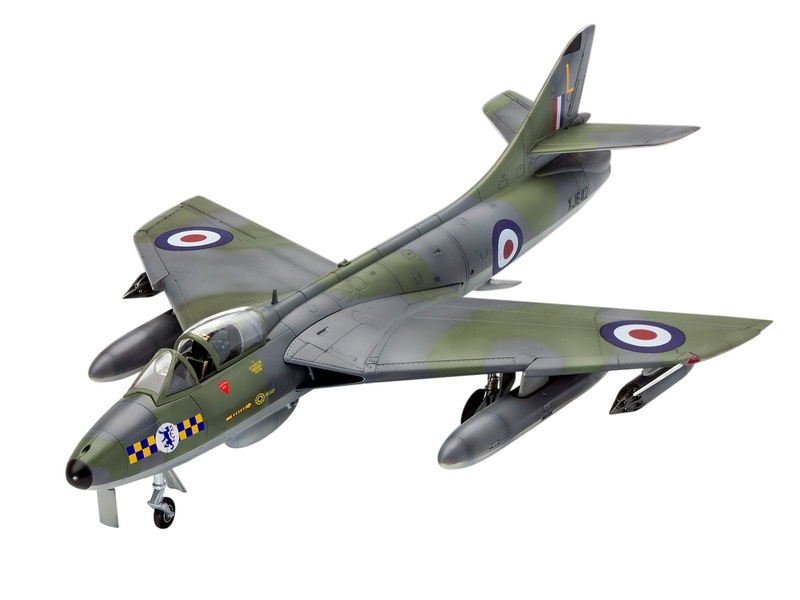 Mind you, having said that the idea of any games that involve ground attack Hawker Hunters would definitely weaken my resolve! So, two modern conflicts fought in very different terrains by two major powers and each with their own particular merits as well a degree of commonality in certain areas. Something else to ponder methinks…. The supply ship Altmark played by the fleet oiler RFA Olna. 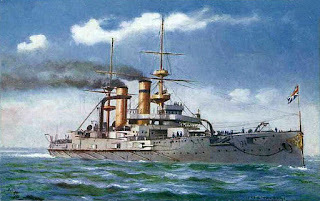 HMS Cumberland played by herself when she joins the British squadron after the battle, (and by HMS Jamaica in the final scenes off Montevideo). German freighter Tacoma, which took the crew off Graf Spee before scuttling, played by RFA Fort Duquesne. Gunboat Uruguay, boarding the Tacoma, was played by a British Ton-class minesweeper. HMS Birmingham was used for the firing of some of the guns, and to depict the explosions on the foredeck of Exeter, and as Graf Spee during the Replenishment scene with Altmark, as well as the scene on the deck of Graf Spee showing the flag-draped coffins of dead German sailors laid out for burial in Montevideo. Destroyers HMS Battleaxe and USS William R. Rush were used as camera ships. The film is very 'Brtish', complete with stiff upper lipped officers and 'gor blimey' style other ranks, excitable South Americans and brash American radio commentators - all very stereotypical and very much of the times, but overall it was very entertaining in a 'sunday afternoon after a large, torpor-inducing roast lunch' fashion. The one thing about the film that I had forgotten about were just how many subsequently well known actors had parts in the films - including Christopher Lee and Patrick Macnee. 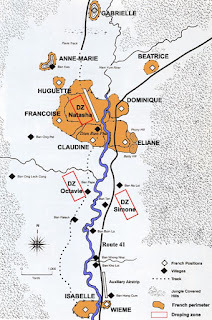 Details of the actual battle can be found here. Initially designed to 'outshoot what it couldn't outfight or outrun what it couldn't outshoot'. In the film Captain Langsdorff (played by Peter Finch) said that he only ships that could successfully catch him to force an engagement were the Hood, Repulse and Renown. In reality Graf Spee was only marginally faster than some the more recently modernised WW1 vintage Queen Elizabeth class battleships. I must confess to having a soft spot for any naval wargames that is 'raider' related and also for the ships of the Deutschland class. 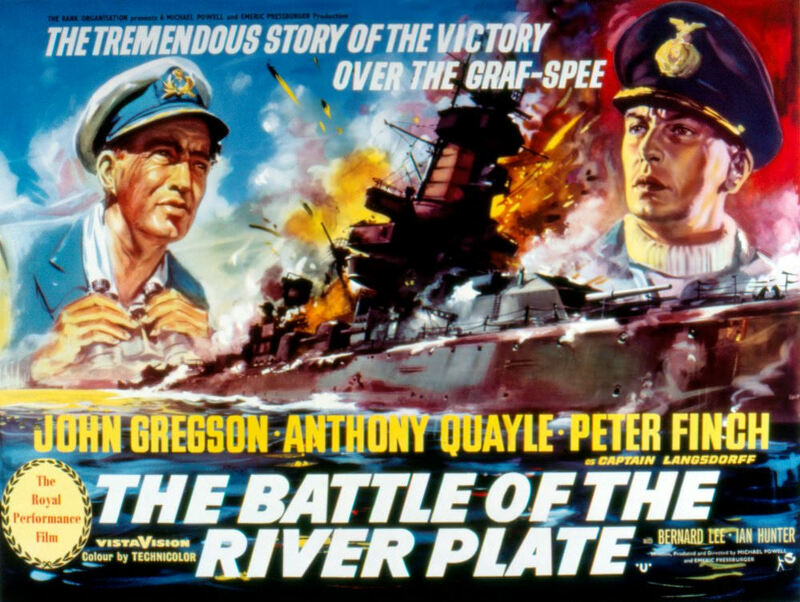 I have fought River Plate on many occasions with a variety of rules and the results are invariably the same - the Graf Spee gets royally battered whilst usually sinking at least one of the Royal Navy warships. There is an expansion to the Avalon Hill game Bismarck that extends the search boards into the South Atlantic expressly for the Graf Spee campaign. For completeness sake I shall look into this further. After Get Carter starring Michael Caine the above has the accolade of being the second favourite British film of all time. This is a post about death but not for one minute should it be seen as being depressing. This morning SWMBO and I went to a local solicitor in order to draft our wills. This is something that everyone should do regardless of financial situation and especially if you have any wishes over what becomes of your estate. For us it was quite straightforward as the only asset we have to speak of is the house and in the event that either of us expire it goes straight away to the survivor. There is no portfolio of stocks and shares, overseas properties, fine art, race horses, classic cars or the odd yacht - just bricks and mortar and a small amount of cash. For me having settled all of this for the family is of paramount importance - at least having the legal framework in place so as to avoid any hassles at what would be a very emotionally turbulent time. One of the major concerns for me is what should become of my collection? I will say that in my case that this is very modest in that I do not possess thousands of finely painted miniatures and several book cases full of rare and valuable books. Having said that I want to make sure that when I shuffle off to that great wargaming Valhalla that my collection is dispersed in accordance with my wishes. I have divided up the collection on a thematic basis and so those recipients will gain certain elements of the whole - primarily because I know that those individuals will appreciate what they are getting above and beyond any financial consideration. The main bulk of my collection is books and mercifully the armies/fleets element is fairly modest even allowing for my ongoing projects. My recent experiences with the collection of Eric Knowles and the logistical nightmare that his son, Bill, is having to tackle has made me glad that I have made suitable provision for my collection and so hopefully will avoid any hassle for the family. My collection is nowhere near the size and scale of Erics but the principle is the same and so proper preparation for the inevitable is of paramount importance. 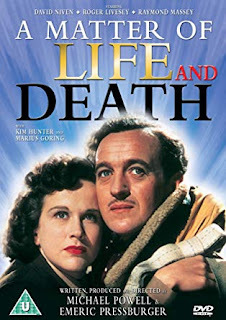 A Matter of Life and Death was a famous film starring the late David Niven released shortly after the war. I mention this as not only is it a good title for this post but also my grandfather worked on the construction of the escalator that featured in the film. This week has been productive in many ways - but not quite in the way I intended! I have planned to revive and reinvigorate the block armies for use on a non gridded playing surface and so moves are afoot to tackle this. What I am proposing to do will not take long and will not be difficult but it is a case of when to fit it in. I need to acquire the materials to do this in any event so suspect hat it will feature early in the new year. I rather like the look of this and am already thinking about other periods the system could be used for - not to mention using figures rather than the cardboard counters included - despite being designed by the incredibly talented Peter Dennis. 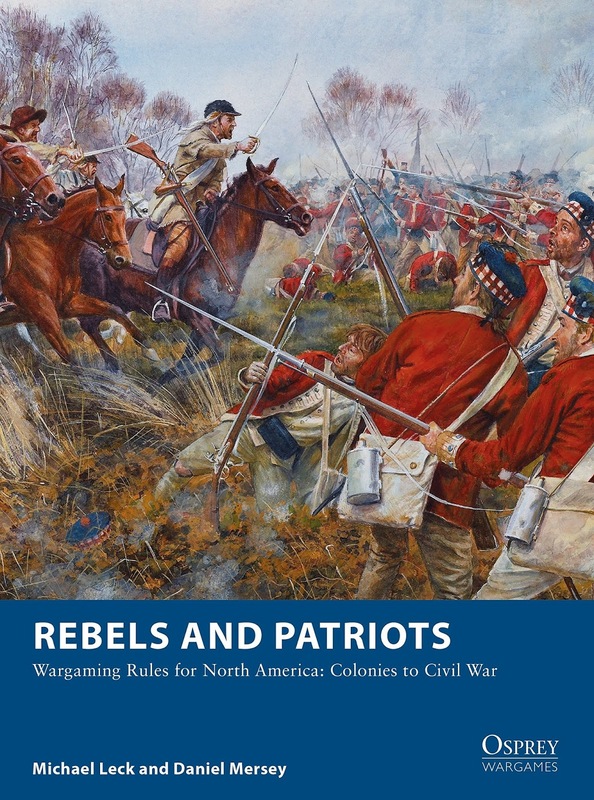 There are two offerings due from Dan Mersey of Lion/Dragon Rampant/The Men Who Would Be Kings fame - another rule set in aforementioned series called Rebels and Patriots covering the wars in America to the Civil War. I will be very interested to see these (due out in January I believe) as they may feature for the Kurz and Allison ACW project. Also from Mr Mersey is a board game called Battle Ravens which covers fighting from the perspective of a dark age shield wall. I rather like the idea behind this and the first thing that struck me was that it would be easy to substitute figures for the Peter Dennis penned units in the game. the second thing that struck me was why not use the same system for well, anything where the combat is up close, personal and shoulder to shoulder. My first thought was Greek Hoplite warfare followed by pike blocks. Romans against tribesmen or ordered troops - spears or pikes - could all make for interesting match ups. 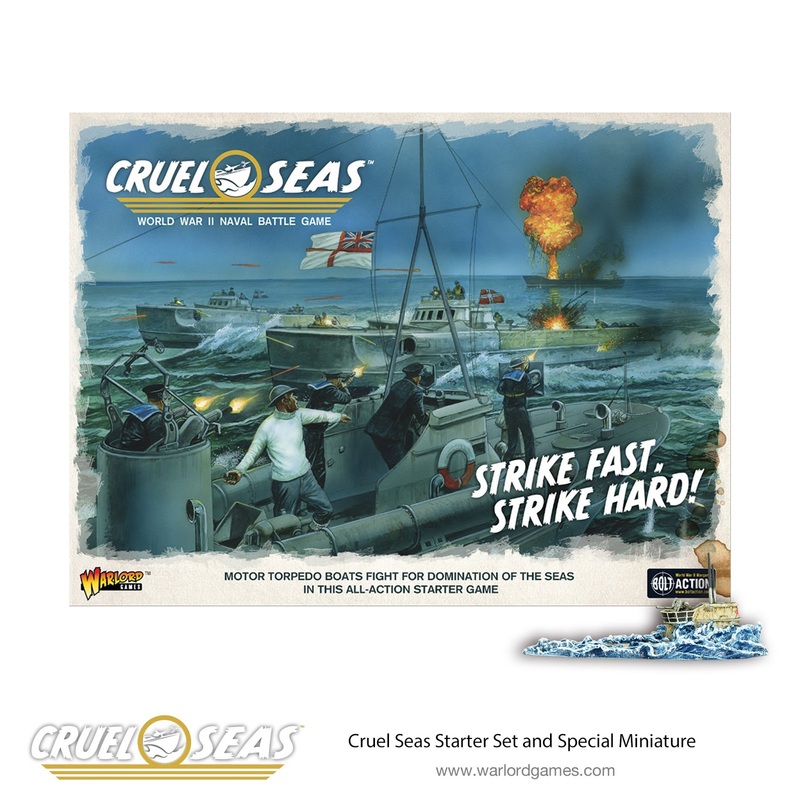 We are getting close to the release of Cruel Seas from Warlord Games and I for one am very excited about this. I have been lurking around my local W.H.Smiths for the December edition of Wargames Illustrated for an overview as well as the free plastic sprue (which I know some readers have already seen) of either an S Boat or a Vosper MTB. If anyone buys the magazine and does not want the model let me know as I will happily take them off you! By virtue of a rather busy domestic schedule I was not able to get any painting done over the last couple of days but next weekend I have two sessions I can make use of. this should enable me to finish the WW2 ships for the North Atlantic project aside from the bases. Part of the domestic round this weekend included the annual 'double up' of Nectar points at out local Sainsbury. Over the course of the year we had accrued over a hundred pounds of Nectar points which meant that we could spend £200 on selected lines in store. Suffice it to say there was a lot of Christmas presents included in this for the family. 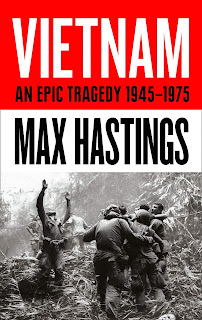 For my own part I shall be acquiring a copy of Vietnam by Max Hastings. It is currently priced at £13.99 in Sainsbury so effectively I paid £7 for it. For a £30 book that is pretty darned good! All in all then it was a good week with lots of 'stuff' taken care of despite not getting to the painting table which is something I shall tackle in earnest next weekend. 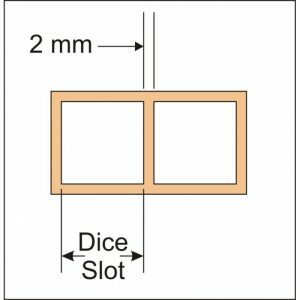 A frame for two dice. I plan to get some of these from Warbases without the central bar so that rectangular blocks will fit in them. Following on from earlier post (and grateful thanks for all the suggestions which helped to clarify my thoughts somewhat!) I have settled on the way I shall be tackling the thorny question of unit flags for the block armies. The solution I have come up with will probably seem a little on the overkill side but there are a number of advantages for me. I am proposing to use bases for the blocks on the dice frame principle. Each block will have a base with a frame on it. The base will be textured and painted and at this stage I am looking at a green and a sand coloured set. A number of the bases will have either a small piece of tube or a magnet to which a flag can be fixed for the unit command stand. Being removable is important as obviously the blocks can represent many different forces so having fixed flags was never an option. The bases will enable a uniform frontage - I shall be using 40mm which is pretty much standard for 15mm figures - and when they deployed on the table adjacent to the other bases in the unit will have realistic sub unit divisions. This is helpful when representing a formation where a block is a single unit, for example in a four battalion brigade. This will the kind of thing I am looking at. The block will take up more room than the d6 shown and by placing either a piece of hollow tube or a magnet midway along the front edge a flag can be easily placed. As far as the textured base and dice frame are concerned the visual impact will be to make the blocks appear smaller when viewed from eye level but in fact they will be taller due to the base. Having a block with a standard will make the units more readily identifiable as well as providing a focal point for the formation when manoeuvring. As well flags for units I am also thinking about high level command bases. An idea I considered sometime ago was to use 15mm figures for command groups for ease of identification. These would help with translating the block armies into something more familiar as, for example, if one had a base with a model of Napoleon on it their would be no doubt that the array of blue blocks represent a French army. Even i could knock up some meaningful looking command groups! Whilst this is a nice idea my thinking at present is to have flags printed with the name of the commander written on them. The main reason I am spending time on this particular element of the block armies is very much to do with using them on a non-grid basis. The collection will look far better and with obvious command elements and formations shown on the table will make for a visually more compelling action - especially when supported with a properly constructed scenario and an after action report in which the purple prose flows readily! Yesterday evening, on the train home from work after a particularly trying day (although not trying in a WW1 trench being shot at and shelled kind of way! 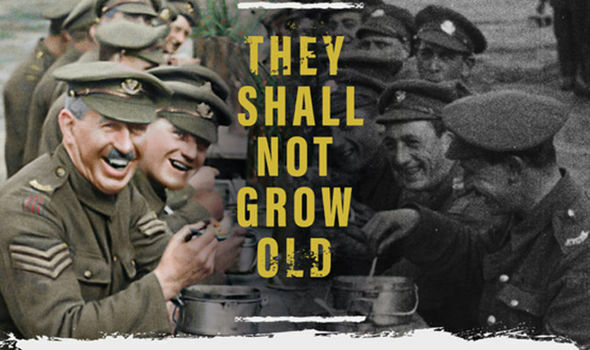 ), I watched the second half of Peter Jackson's WW1 documentary - They shall not grow old'. There is not a great deal I can say about it other than by turns it was heroic, awful, horrific, honest, down-to-earth, funny even, in a gallows humour kind of way - but above all a testimony to the bottomless wellspring of the human spirit. The colourisation was quite breathtaking and for me really served to bring the full catastrophe to life; far removed from the blurry, black and white images and jerky footage one usually sees. Although my interest in the Great War tends to shy away from the Western Front (accepting 1914 and 1918) this is a compelling argument for paying it more attention in the future. As for the title of the documentary I could do more than than quote the poem from which is was taken. The (not so) new blocks. The middle row is the standard type whilst the top row with the dark strip represent 'heavy' types whilst the bottom row are for 'light' types. It is easy to see the way these types are facing but less obvious with the standard 'line' types. One of the parts of my collection I shall be making use of once again are my block armies. Readers of the blog will no doubt recall the vast number of games I fought using these (see the folder marked 'games') and it is fair to say that I certainly got a lot of mileage out of them. As an easy way to try out a new set of rules or historical period they are ideal and I am really pleased I persevered with them. All of the games I fought using the blocks were using grid based rules and so for the most part the facing of a unit was largely irrelevant. I have a number of ideas in mind for some games using the blocks but without a grid. 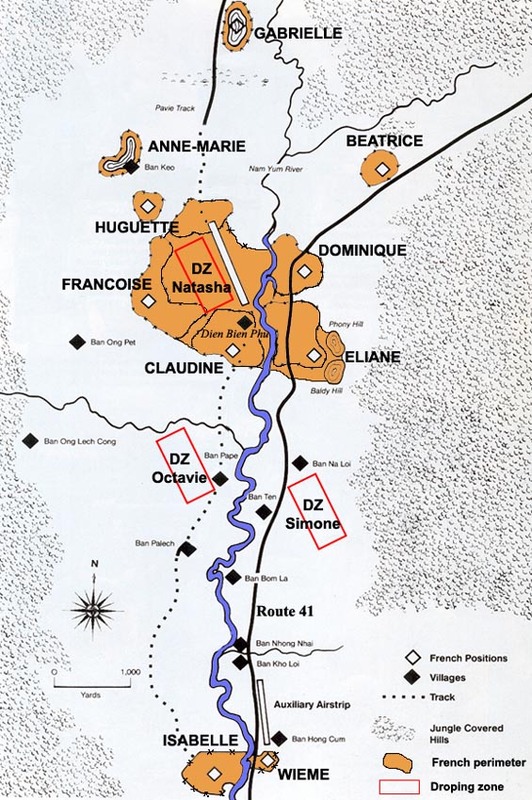 Units will be made up of a number of blocks in the usual way – 4, 3 and 2 for infantry, cavalry and artillery respectively – and I will be able to represent formations such as columns, lines and squares. In effect a single block will represent a base of figures. This is a fairly straightforward idea and indeed, is something I had always planned to do. I do however, have a small problem. Looking at the block picture above you can see the style I have adopted for differentiating between heavy and light troops with the strip along the bottom edge of the block. When deployed ordinarily the strip would be facing the owning player so the facing of the block can be readily determined. However, the main bulk of the blocks for all troop types do not have any such strip so determining facing can be problematic. I really do not want to re-label several hundred blocks with a facing marker of some kind as this would take an age to do, not to mention using copious amounts of printer ink. At this stage I am unsure about how I am going to tackle this although one idea is to mark the label in some fashion so that it is obvious which way the block is facing. Another alternative would be mark the leading face of the block itself. Another alternative is to place a base under one of the blocks in the unit or use some kind of ‘sleeve’ with a small flag attached to it. With the flag to the fore the rest of the unit would be assumed to be facing the same direction. If I am honest I would prefer to keep the blocks as they are so my thoughts are very much leaning towards the ‘flag on a base’ option. I have wanted to use flags in some way with the block collection for some time now as it will help to give a sense of identity to the force being represented. 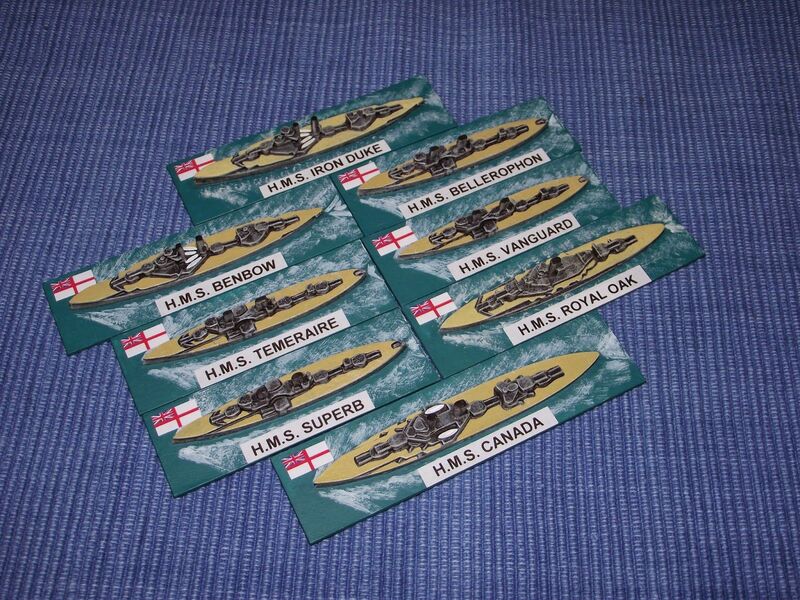 I am thinking that 15mm scale flags would look rather good so I may well spend some time experimenting with them. Using the blocks with non-grid based rules opens up a number of opportunities for me to explore across the entire ‘horse and musket’ period and beyond. It will be interesting to see where this goes as I currently have nothing specific in mind. The 'flag' idea though is something I want to be able to square away sooner rather than later. One from the archives (was it really 3 1/2 years ago?!). WW1 German battle cruisers in the shape of 1:2400th scale Stonewall Miniatures. The models for the Jutland project have long since gone but I shall be revisiting the scale for the Arab Revolt as the actions envisaged will be a whole lot smaller and more table top friendly! Some of the Royal Navy opposition for the above. 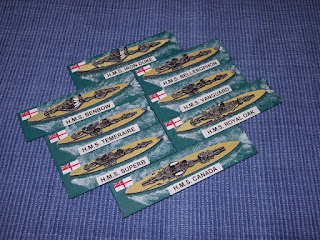 Again these are Stonewall Miniatures except for HMS Canada which is a Panzerschiffe resin model. One of the ongoing problems I have when painting 20th century warships is what colour to paint the decks. As a rule I prefer to use natural wood and indeed, in the past have used the same colour for all ships regardless of nationality. The end result was OK but as was pointed out to me having differing colours for each nationality makes table top identification far easier. With the smaller models I am using – 1:4800th – it becomes even more important. For the Bismarck operation a number of Royal Navy ships sported camouflage schemes which looked pretty good although I am not convinced about how effective they would have been in service. One must assume that they were though if only because of the widespread use they enjoyed. For the models I am using I shall be sticking to overall grey though, with the Royal Navy ships being a darker shade than that used by the Germans. My plan is to tackle the decks at the weekend and, assuming all goes well, I should also be able to tackle the funnel tops which will mean that the ships will only need varnishing to be finished. I can tackle the bases the following weekend. The only other issue I have with this collection concerns the markings on the aircraft carrier flight decks. I shall keep these simple but I have yet to work out how best to represent them. An idea I am thinking of is using a fine tipped paint marker pen. There may be some decals I could use but as yet I have not really researched this in any detail. If I can get a good weekend painting session in I will be looking at the rather unprecedented spectacle of completing the first part of a project ahead of schedule as the bases are quick to finish. Certainly I will be done by the end of the month. HMS Swiftsure - sister ship to HMS Triumph. Originally ordered by Chile but purchased by the Royal Navy to stop the Russians acquiring them. One of the problems when organising a campaign is not so much what to include – rather it is what NOT to include. It is very easy to keep adding bits and pieces but before long the whole thing becomes overweight and cumbersome. For me the issue is all about justifying within the context of the story what is possible and why. I have always enjoyed having a fully developed back story to a campaign as it helps to support and drive the action. Of the two major campaigns I have taken part in – Madasahatta and the follow on South East Asia Naval campaign – the former was very well developed in this respect but the latter was most certainly not. 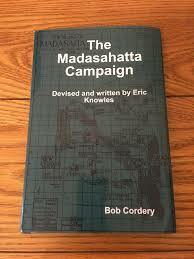 That is not to say that the naval campaign was not fun – it was – but it lacked the narrative of Madasahatta. Now I am planning my spin on the Arab Revolt the decision to expand the naval dimension needs to be, and I hesitate to use the word, justified. I am effectively taking the historical situation as it existed at the time and ‘upping the ante’ from the naval dimension. However, this aspect needs to be addressed in what I would call a sympathetic way. In other words historically viable. I have already gone some way towards achieving this in that the vast majority of what is available to either side will be for the most part second rate or obsolete units, ideal for colonial policing and flag showing but not up to modern standards. I have considered a number of ideas and am leaning towards the following (of permutations thereof). The German South East Asia Squadron head West rather than East. This would mean that Von Spee, Scharnhorst, Gneisenau, Emden etc would head straight for Madasahatta to use it as a base to support German East Africa, the Turks in Arabia as well as interdicting Allied shipping from Indian Ocean heading for the Suez Canal. 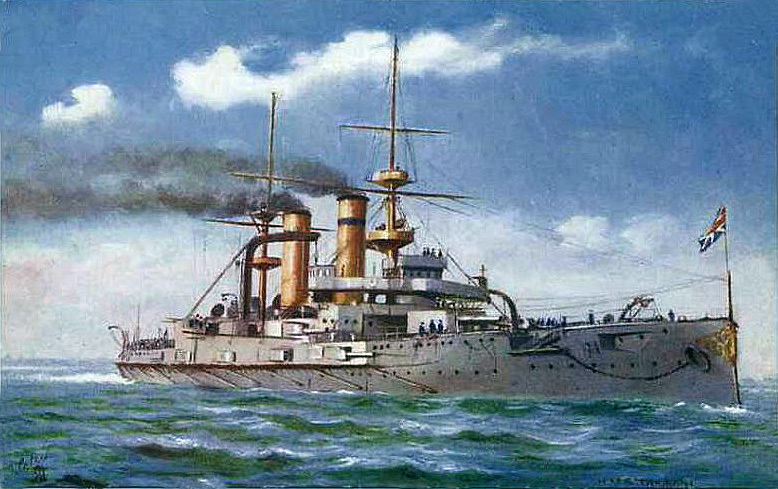 The German Mediterranean Squadron consisting of the Goeben and Breslau, instead of heading for Constantinople brazenly forced the Suez Canal. 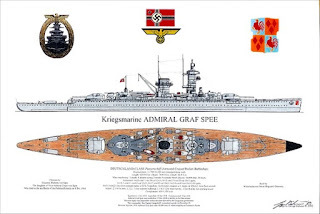 There are variants to this in that the sister ship of the Goeben and Breslau, the Moltke and Magdeburg respectively were earmarked to replace the original pair. The Turks have a guard squadron based in Madasahatta consisting of a pair of obsolete pre-dreadnoughts and a number of torpedo boats. The Germans could send some U Boats by a circuitous route to also operate from Madasahatta. Whichever option or options of the above I choose the concern for the Allies will be that the Germans will be overall command of the naval forces centred on Madasahatta. Any of these would mean that a vigorous response from the Royal Navy. From the other side of the fence the choices are a lot easier. The Royal Navy routinely used old and obsolete ships overeas and would keep the more modern vessels in home waters facing the threat from across the North Sea. For my purposes the Red Sea squadron would be reinforced and would make use of Mombasa , Aden/Oman and of course the British part of Madashatta. For the most part we are looking at older armoured and protected cruisers with the occasional visit from more up to date units. The options I am considering for the Royal Navy are based on the following. HMS Swiftsure and Triumph will form the main strength of the Royal Navy in the region, alternating between Mombasa and Madasahatta. These vessels will form an effective counter to the German armoured cruisers – although if the Blucher acts in concert with the Scharnhorst and Gneisenau life could get rather more interesting. The Royal Nay will have a marked advantage in modern light cruisers to supplement the older vessels. Should the Germans/Turks have the use of a dreadnought battle cruiser then a pair of similar vessels would be sent to tackle the problem – these would arrive via the Suez Canal. Some of the more modern armoured cruisers available could be deployed in theatre depending on how the naval situation is progressing. There may be a couple of older pre-dreadnoughts acting as guard/station flagships. 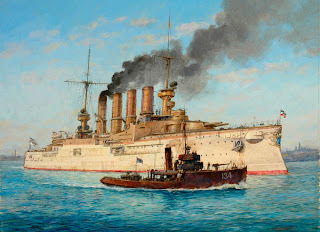 Both sides will naturally make use of requisitioned steamers for use as armed merchant cruisers in order to save the wear and tear on the warships. Obviously these ideas are very much in the sphere of 'what ifs' and I will need to nail down the specifics but I think I am on the right track. It has been a productive and positive week overall set against the backdrop of Remembrance Day - more of which later. My progress for this week falls into two parts with the former being very much Great War focused and the latter to the Second World War. In respect of my Arab Revolt project I have decided to include Madasahatta as a supporting partner in order that I can expand the naval dimension in the Red Sea and Indian Ocean. I am currently drawing up fleet lists for this although perhaps describing the forces involved as 'fleets' is a touch of an exaggeration. I reckon that allowing for all of the options I envisage arising we are looking at around three dozen models at a maximum. In pole position for this are Tumbling Dice as they have virtually everything I need in 1:2400th. There will be blog post about this in due course once I have finalised what I am doing. For the North Atlantic project I was able to make some significant progress over the weekend with the painting. All of the models currently on the painting tray have had their middle dry brush and I have also done their pure white fine edge brush as well. I managed to destroy a cheap Humbrol OO sized brush for this part of the process but the end result looks pretty good. the next stage will be the decks and funnel tops before moving on the bases. It seems obvious but I have found setting myself a specific goal when painting really helps with the productivity. I was also able to tackle some administrative tasks in connection with the rules I shall be using for this project - nothing major but important nonetheless. Overshadowing all though, was of course Remembrance Sunday and the centenary of the end of the Great War. As I have gotten older and my knowledge and understanding of the human dimension of war has increased, I tend to get quite reflective about those that have made the ultimate sacrifice. I have often wondered if those that have remained have 'won the peace' so that their sacrifices were not in vain. The answer to that is not an obvious one but, as I was reminded, I have the freedom of choice to be able to reflect on such things because of their efforts and whilst it may not be the promised land it is a whole lot better than the alternatives. Lest we forget - not just the loss of loved ones but what they left for us to make the best of in what way we can. They never had the chance to worry about the things that only the living and free can. The guns fell silent, at the end of the war. At the end of the struggle, of privation and more. At the end of the old world, with the new rearranged. ‘till the day was won’, at least some had thought. lay at peace in the earth, where the poppies now grow. through nature untamed the great guns had roared. though the deep would fall silent, untroubled again. to uncertain fledglings cruel destiny brings. a fledgling falls broken, deprived of their worth. the impermanence of flesh unites all as it bleeds. that leaves town and country both bereft and riven. and the cold, grey stone has but a solitary care. with bold face and flesh they gave of their all. Too young to have challenged the real reason why. the annual remembrance pays homage again. as the guns fell silent, at the end of the war. This is a great read although there are a couple of editorial errors. Pen and Sword are guilty of this occasionally but still get my vote (and a fair amount of my money!) for the subjects they cover. It must be said that when one thinks of the Arab Revolt during the Great War that one's thoughts do not naturally alight on the subject of naval warfare. Indeed, the most common 'ships of the desert' are usually of the humped variety rather than coal burning. However, control of the Red Sea was of paramount importance to the Allied cause due to the Suez Canal and the shipping routes to India. 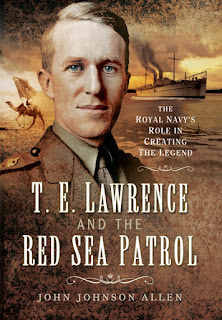 By the time the Arab revolt started in 1916 the Royal Navy had pretty much cleared the seas of German warships and so only the odd raider or submarine was likely to feature and even then their activities would be well away from the Red Sea. The Turkish Navy was focused primarily in the Black Sea and so, for all intents and purposes, the Turkish Arabian armies had no naval support. To be honest this was not a major inconvenience for them but it did mean that the Allies could not afford to allow them the luxury of having a naval presence astride the route to the Suez Canal. The Allied Red Sea Squadron was made up of some arthritic Royal Navy cruisers and gunboats and a smattering of ships (including some very useful troopships) supplied by the Royal Indian Marine. These were used for patrol, policing, revenue protection, troop transport and supply purposes and occasionally in support of land actions. The book above tells the story of the Red Sea Squadron and the role it played in support of the Arab Revolt. In addition to this I also have a couple of PDFs of some old editions of the Naval Review for 1924 to 1926 that has some further details. This was not the war of great lines of battleships and fleets manoeuvring; rather it is the low level routine bread and butter naval duties that are no less important for all that. I fully intend exploring the naval dimension but with a little twist. If I am honest gaming the naval side of the Arab Revolt historically would be of limited shelf life. For sure there are some good games to be had but these would be very scenario specific. I want something with a little more depth to it so that the naval dimension becomes equally as important to both sides and not just as a one-sided area denial exercise. My plan is to work on the basis that the Turks have a naval presence in the area supported by the Germans. There will be a number of assumptions. German East Africa will still be holding out, albeit surrounded by the Allies. Madasahatta will also feature - at least in its naval capacity. I need to work out the specifics for each side but the best news of all is that I can make use of the range of 1:2400th scale models from Tumbling Dice. Again, this will be quite low level in terms of the number and type of ships in use although I may spring a couple of surprises for each side. For the most part the forces will consist of older warships supported by requisitioned merchantman with the odd dash of modernity thrown in for good measure. I shall be using Bob Cordery's excellent Gridded Naval Wargames as the rules of choice for this little 'sideshow of a sideshow'.